Released: March 2015. Genre: Shoot 'em up. 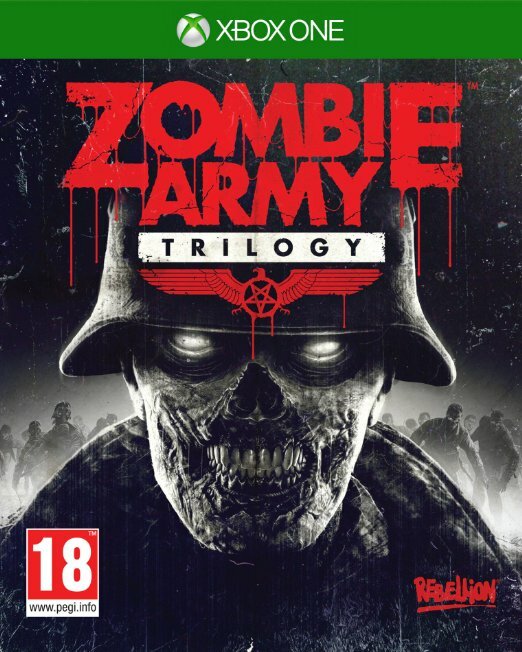 Though Zombie Army Trilogy seemingly follows the trend of recent eighth-gen remasters, this one is a bit different. Remaining a PC-exclusive until now, Rebellion’s Sniper Elite spin-off comes to Xbox One with improved graphics, an extra campaign and a new Horde mode. 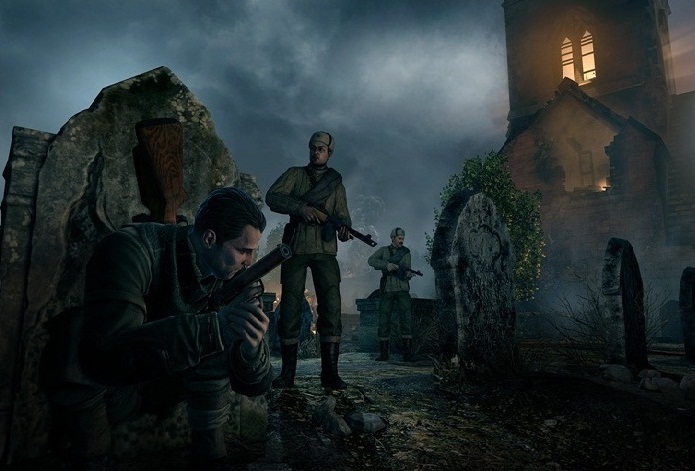 Though it benefits from a solid engine and decent co-op fun, it feels like the Sniper Elite gameplay doesn’t quite fit with the addition of zombies, as the game becomes repetitive and a particular chore if played alone. Say what you will about the Nazis... and we'll probably censure you. 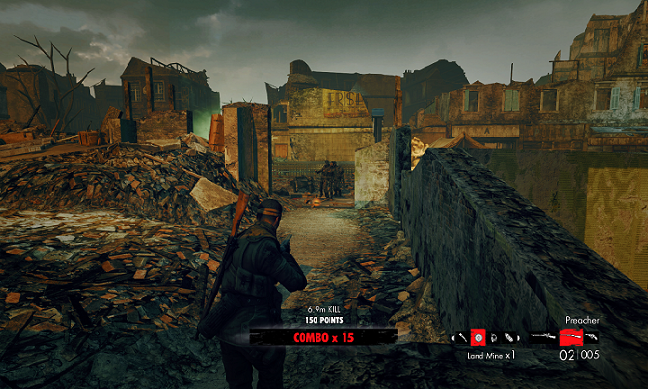 ​Playing alone is a little different, as while you can tweak the settings to reduce the number of zombies and the difficulty, you often notice the disparity between solo and co-op. 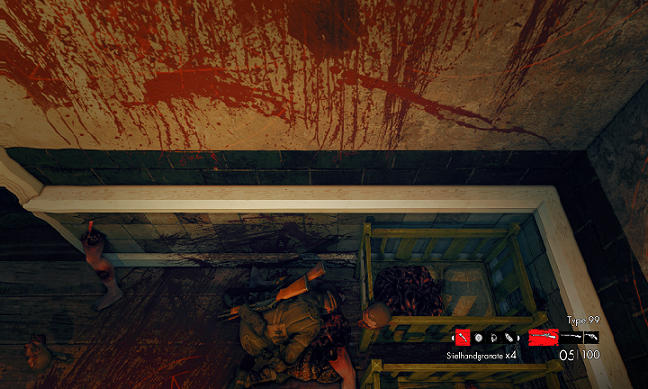 Solo often becomes a slog, as even on lower settings, the seemingly endless hordes of zombies become tedious to kill. Certain sequences feel downright murderous to attempt alone, such as longer encounters which feature multiple, difficult foes such as the challenging Brutes and Fire Demons. You’ll end up killing thousands of zombies, and it becomes rather boring. The main issue Zombie Army Trilogy suffers from, whether solo or in co-op, is that it does not feel comfortable in its own skin. 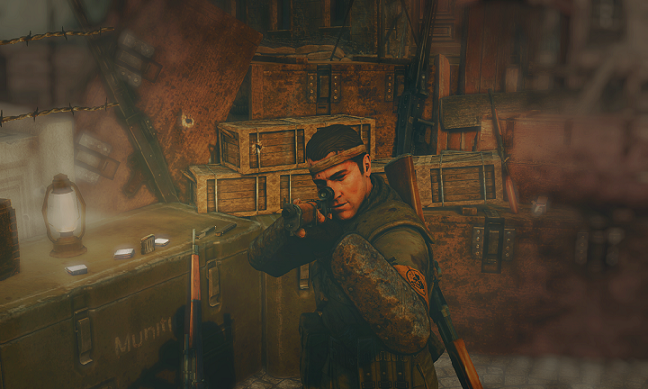 Sniper Elite is all about precision, such as lining up the perfect shot to stealthily take out a target. Zombie Army Trilogy just doesn’t feel natural with the SE engine, as dealing with a mob of zombies, especially in solo, just feels cumbersome with a sniper rifle as your primary. You do come equipped with a secondary and pistol, but neither of these feel potent enough to rely on. With more players it can be manageable, but it never feels right. This is a shame, because the engine generally runs smoothly and feels tight. And because it’s based on V2’s engine, some of the warts from that game carry over. Levels often feel a bit cramped and linear, and there’s far too many moments when you feel frustrated that you’re forced to deal with hordes of zombies as a demonic wall blocks your path until you kill anything in sight. The appeal of X-Ray kills does return, but when it repeatedly spams you with shots, it too can become grating. The levels also are very similar to the ones featured in V2 both visually and structurally, leaving you with a sense of déjà vu at times. 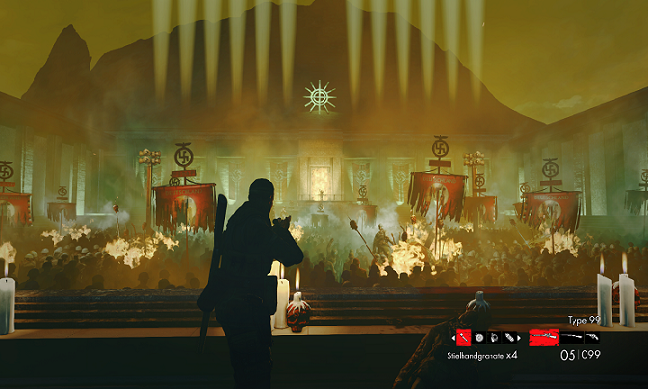 In the end, the action becomes rather grating by the time you reach the third campaign. The presentation upgrades, though, leave a bit to be desired. 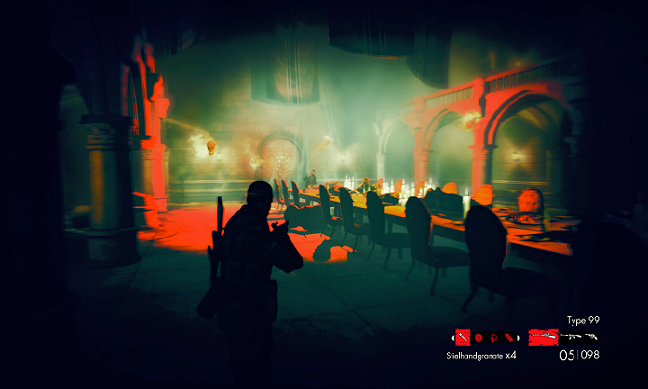 Despite running on a smooth clip, the visuals feel rather flat, lacking detail in many spots and unrefined lighting, animation and character models. The levels certainly feel suitable in tone, covering the environment in dark colours and grim destruction, but overall, it’s nothing special. The audio is similarly flat. Guns feel okay to fire, and the zombies blow up nice, but the music is bland and the rest of the audio feels uninspired. There’s not a lot here to suggest ZAT couldn’t have run on older consoles too. 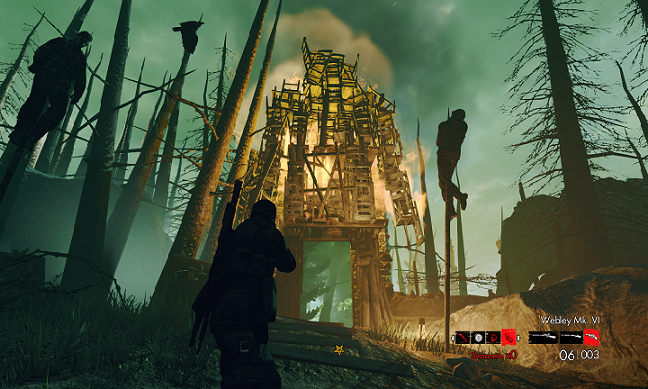 Zombie Army Trilogy may present value for a group of four, but it isn’t the definitive package. Feeling especially dated next to Sniper Elite 3, released a few months before, it’s a somewhat flat offering that benefits from co-op, but becomes tedious after a while. For solo players, the levels don’t feel balanced enough for a single player in-mind, leaving gamers feeling like they are banging their head against a wall. Couple that with a bland presentation and few next-gen improvements, and it makes it difficult to recommend unless you can grab four buddies to join you. And even then, the novelty will wear off, leaving you with a repetitive and dull shooter.